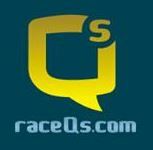 With less than a week to go we are delighted to announce that this year we will be tracking the race with Race Q’s a new free app on Android and iphone and showing it in the club after racing. If you want to be part of this please bring the following with you on race day. 1. fully charged mobile phone with Race Q’s app downloaded on it. 2. A Dry bag for your phone. 3. A means of securing you phone in one fixed position for the duration of the race. The rest will be explain at the briefing on race day.